An internationally renowned specialist on Third Reich intelligence services recently delivered a masterclass to History students at Bishop Grosseteste University (BGU) in Lincoln. 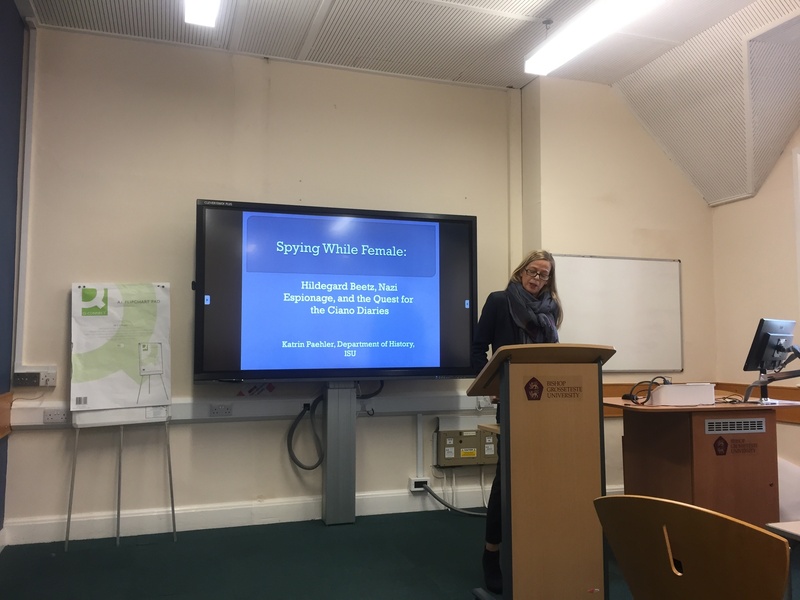 Dr Katrin Paehler, Associate Professor at Illinois State University, delivered a session on her recent research entitled ‘Spying while Female: Hildegard Beetz, Nazi espionage and the quest for the Ciano diaries’. Final year BGU History students studying the special subject option ‘The Secret War: Intelligence during the Second World War’ were treated to a detailed exploration of the career of Hildegard Beetz (1919-2010). Beetz was a low-level secretary with good Italian language skills who worked within Nazi Germany’s political foreign intelligence service. She was instrumental in German attempts to relieve the deposed Italian foreign minister Galeazzo Ciano of his political diaries. Alleged to have fallen in love with him, Beetz helped his widow Edda Mussolini to escape with the diaries to Switzerland around the time of Ciano’s execution in January 1944. There the diaries came into the possession of the Western Allies and were eventually used at the Nuremberg Trials. Dr Paehler demonstrated to students how historians should question the available evidence and remain cautious of simplistic narratives. She ended with several conclusions surrounding Beetz, presenting her as a “New Nazi Woman”, who was able to use existing Nazi gender expectations to her advantage in her life as a spy during the war. May Guest, third year History student at BGU said, “Dr Paehler’s visit was very interesting as she presented a short history into the extraordinary life of Hildegard Beetz. 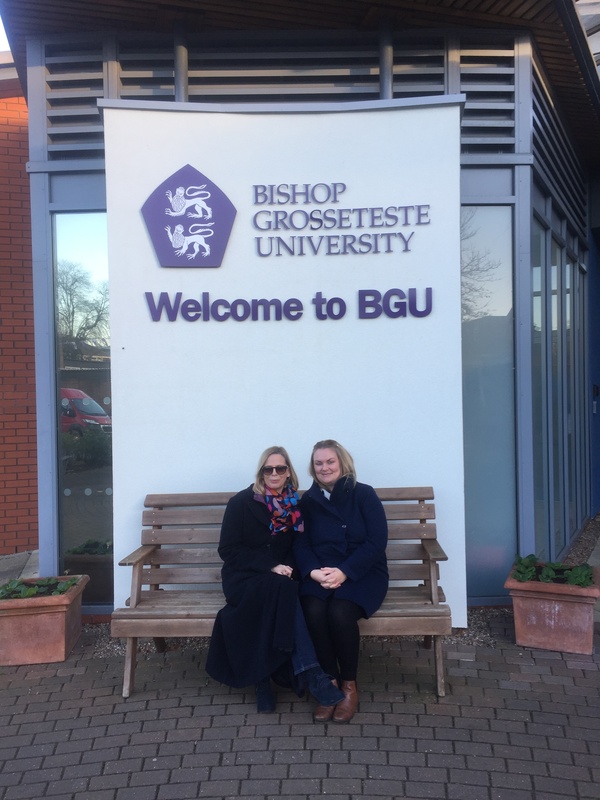 Dr Paehler visited BGU during the week commencing Monday 13 November and was hosted by Dr Claire Hubbard-Hall, Senior Lecturer in History at BGU, who works on the Gestapo and Third Reich intelligence more broadly. Dr Hubbard-Hall is currently preparing her monograph ‘Hitler’s Secret Agents: The Gestapo Spy Network’ for publication. Find out more about studying History at BGU.